Why do I like it so much? – HubNut – celebrating the average! The gearchange is horrible. The ride is not as comfortable as it should be. The driver’s front window often needs help on its way down. The rear axle makes more noise than Motorhead. It’s just started leaking engine oil again. When faced with a long journey, it gave up after three miles. By locking a wheel in dramatic fashion. 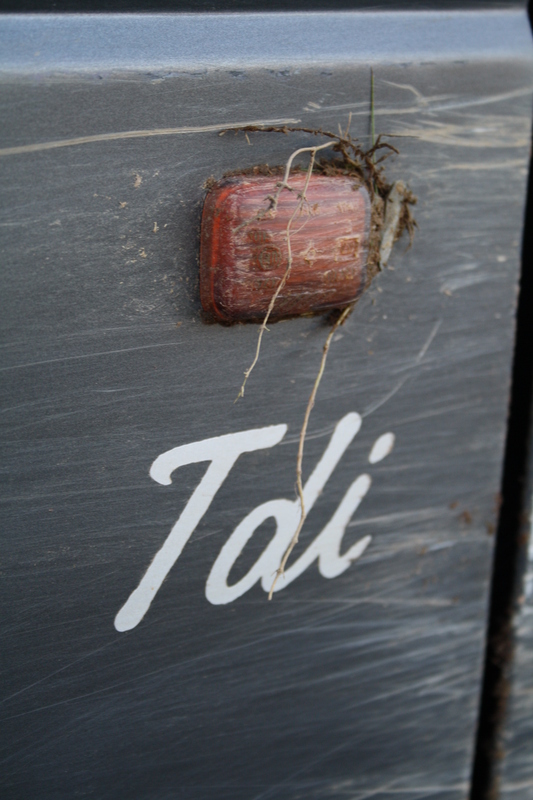 Plus, it is the ultimate parts-bin special, beating most kit-cars in the ‘bits stolen from other cars’ stakes. 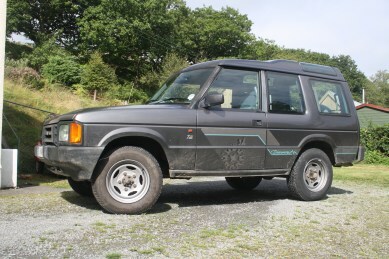 So, why do I like my Land Rover Discovery so much? In truth, I’m not really sure why. Yes, I’d wanted one for decades, but that was also true of the Land Rover 90 and Range Rover I owned previously. The Land Rover was very disappointing. It was pretty horrible to drive even though it was a V8. The only thing it did really well was slurp fuel. The Range Rover was ok, but didn’t exactly feel like the prestige vehicle it was trying to be. I guess I like where the Discovery was aimed at market-wise. It’s a Range Rover, without the fancy stuff. But it’s also a million times nicer to sit in than a Defender. There’s the exposure to them when I was younger too, as mentioned here. But I’ve thought about this. I don’t drive around in it recalling my teenage experiences. I think a lot of it comes down to how it looks actually. I would never have deliberately chosen a Discovery in this colour, but it really does suit it well. I love the steel wheels, I love the stepped roof design and I absolutely love the side graphics. 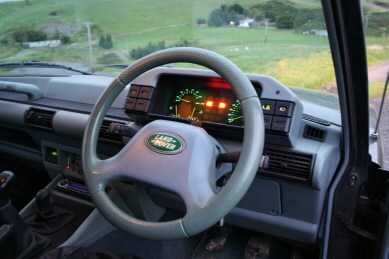 I really like the front grille/headlamp design too – stolen straight from a Mk2 Transit van. It’s a brilliant reskinning of a Range Rover. I really like the interior too. The seats are comfortable with a great driving position. I love the sheer amount of blue. Visibility is superb, with enormous windows. The loadspace, while not the longest, is very useful. The towing capacity of 3500kgs is handy too. It has permanent four-wheel drive, so there’s no faffing about with switching between two and four wheel drive, and there is a centre differential, which means you can use low box on tarmac – handy for towing. It’s delivering an acceptable 28mpg (the Golf barely tops that) and its off-road abilities are astounding. In fact, I look at later Discos, even the 95MY facelift ones I worked on as prototypes, and I just see a continuous ruining of the pure original. Nothing new in that – it’s how it goes with almost any car. That’s why early ones tend to become collectible. It’s difficult to convey how happy this car makes me. I’m in the rare position at the moment of thinking that there’s simply nothing out there to tempt me at the moment. I have a 2CV and I have a Land Rover Discovery. They were both cars I dreamt of owning as a 16-year old, and they both cost me the grand sum of £450 to buy (albeit 13 years apart). Proof that when it comes to dream cars, it really does pay to have humble desires.